Image source: Facebook/Michael Mike G. Garth Sr.
A waitress who asked a pair of diners to switch tables on the night a shooter opened fire at a Tennessee Waffle House restaurant may be a reason they are alive today. On April 22, Michael Garth Sr. and his friend, Tre Sneed, were sitting at the counter of the Antioch Waffle House when the waitress, who was doing dishes, asked them if they would move to a table so she wouldn’t splash water on them, Garth wrote on Facebook. Initially, the pair was frustrated with the request, but they agreed to move to table near the restaurant’s bathroom, WZTV-TV reported. That move may have save their lives, Garth said. When a deranged gunman entered the restaurant and began shooting, Garth and Sneed were able to hide under the table where they were asked to move. Then, the two managed to crawl to the bathroom and kitchen as local hero James Shaw Jr. “rushed the gunman, actually wrestled the assault rifle away and tossed it over the counter,” Garth said. Four people were killed and two were injured in the shooting before Shaw stepped in and prevented more from being shot. Out of the line of fire, Garth was able to go home to his wife and four kids that night, “praising God that he was alive,” Garth’s mother, Vickie Davis, told WZTV. Months after the shooting, Garth and his mother contacted the waitress, Virginia Stanley, to thank her. During their conversation, Davis learned that Stanley was engaged. That’s when she thought of a special way she could show her gratitude: by purchasing Stanley’s wedding dress. Even though Stanley couldn’t have known that she was about to save a life, Davis said her action was part of God’s plan. Earlier this week, Stanley and Davis went to the Glitz bridal shop in Nashville together to pick out the dress. “We hugged and we cried,” Davis said. Stanley ended up saying yes to a satin gown with a beaded bodice. The shop gifts a free wedding dress to a first responder or veteran every year, and Davis asked them to choose Stanley for that honor this year. 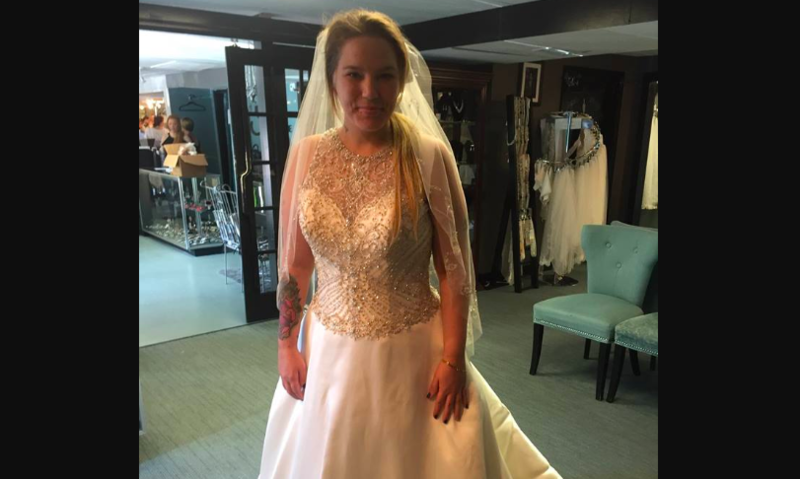 “My mother Vickie Davis tracked her down, found out she was getting married and got her this wedding dress. #GodsPlan #AntiochStrong #GodsFavorite,” Garth wrote. Davis said that Stanley has a friend in her for life.